MA micro automation is one of the TOP employers in the DACH region. 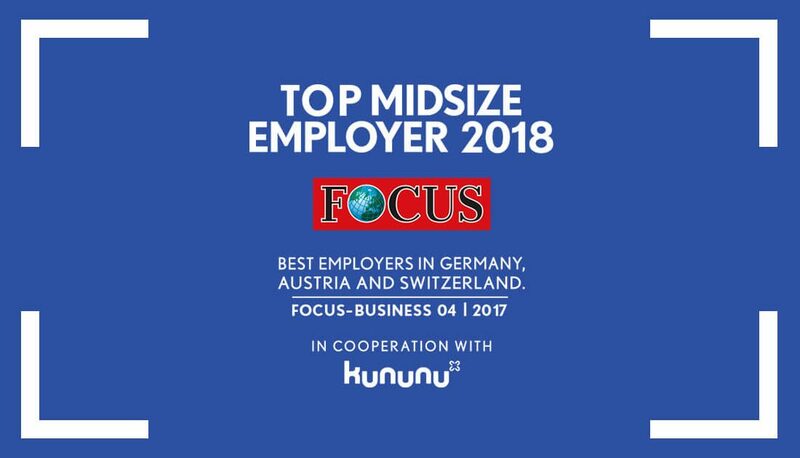 On the basis of an independent data collection, MA micro received the award “Top Employers SME 2018nfrom the editors of FOCUS-Business. The best employers in Germany, Austria and Switzerland”. The evaluation was carried out by FOCUS-Business together with the employer evaluation platform kununu. Data from companies with eleven to 500 employees in Germany, Austria and Switzerland were evaluated in Q4/2017. More than 1,360 companies were included. The size of the company, the rating given to kununu by the employees and the number of ratings given to kununu were taken into account in the evaluation. MA micro automation ranks 8th in the machinery and plant construction sector. The award confirms that MA micro automation has a pleasant working atmosphere with flexible working hours, good career opportunities and more.